With the release of Thor Raganarok, Geek Genie teamed up with ace streaming service VUDU to offer our members a chance to win free digital downloads of one of the MCU's greatest ever movies! That's right, we have 11 lucky winners that will get Thor: Ragnarok digital downloads! This is no trick from the god of mischeif, Loki. Here are our winners... Manuel Vallellaries Jim Scott Chris Poirier Kim Anne Licht Jonathan (Megajohn) Chad Daubenmire Terry (TerryLaing) Thomas Hathaway Margaret Rushton Fajr Lodhi Sam Heine Congratulations to our winners! Stay tuned to www.geek-genie.com for great content on all things pop-culture! Winners will be emailed their winning digital codes shortly. Ranking All 18 MCU Movies. Which is best? Sweet contest! Hope to win! Great contest! Fingers crossed to win one! Join VUDU For Thor Ragnarok Viewing Party and Win Prizes! Does The “Get Out” Movie Deserve The Oscar? Disney and Lucasfilm present the second of three of the new Star Wars trilogy! After critical acclaim with the Force Awakens and Rogue One, Rey is back and learning the ways of the force with The Last Jedi! Starting off where the Force Awakens left off, Star Wars The Last Jedi delivers a truly epic story! Starting off where the Force Awakens left us, Rey is trying to convince Luke Skywalker to help her fight the First Order and Kylo Ren. Meanwhile the Resistance are on the run from the First Order and Supreme leader Snoke. Finn, Poe Leia and the new member Rose must destroy the First Order and Rey must convince Luke Skywalker to help. Kylo Ren and Snoke are as bad as ever and the galaxy's fate rests with the Resistance. In my opinion, Star Wars The Last Jedi was without doubt and by a mile the greatest Star Wars movie ever and in my top 3 movies of all time. The movie had everything, drama, comedy as well as all out action. With an intense storyline it was a perfect Star Wars movie. IzzyLFC - 10/10 - "Well Done Disney, Well Done!" 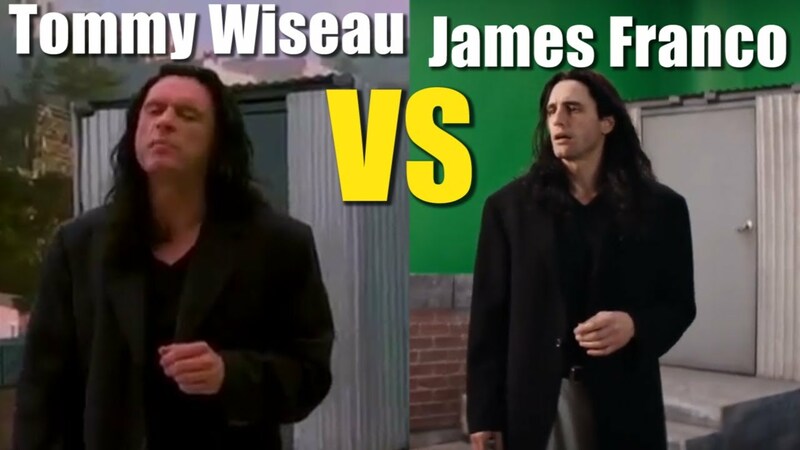 The Disaster Artist Movie Review - Should You See It?! Raimi's Spider-Man - A Look Back After "Homecoming"